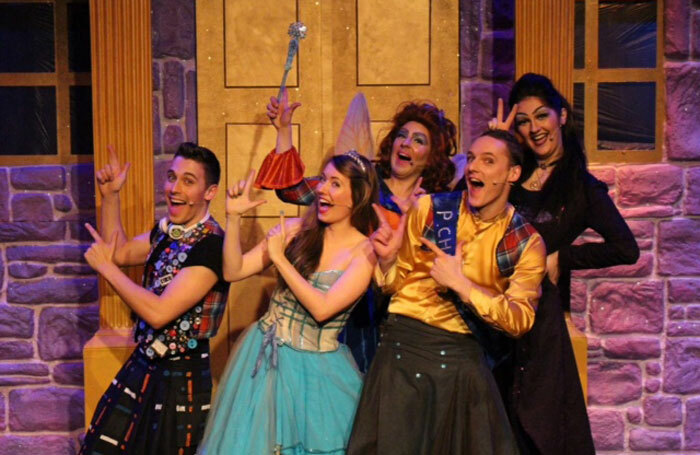 With a cast of five – plus a couple of puppets – A Belter of a Cinderella Story is a modest entry on the Scottish pantomime programme, yet its good humour, energetic cast and imaginative script are a reminder of how a smaller scale does not inhibit creativity. The asides for adults are rare, but fly far over the children’s heads, while the good humour, reworking of contemporary pop and the ability of the ensemble holds the entire family’s interest. Jamie McKillop is a superb dame – half camp routine, half MC of the story, while the use of puppets to flesh out the cast is a smart addition to the pantomime’s surreal fantasy. While it is impossible to ignore the ugliness of the Cinderella story – it has a poor sense of justice and virtue – the script overcomes this through genuinely funny sequences and the inclusion of very Glaswegian language and geography. This kind of passion and sincerity – teamed with good writing and strong singing from the entire cast – is in danger of reviving the fortunes of an art that seems to have been abandoned by the larger theatres. While it lacks the glamour, glitz and conspicuous spectacle of larger shows, A Belter of a Cinderella Story lives up to its name.